Did you know...flying in Mars is possible ? I read it has same atmosphere similar to that 35 km on earth but 1/3 gravity. Here is my ship to fly directly to Mars from Earth. It is possible..but no funding so far. You can pick up speed closer to the sun and get about 400 000 km/h speed using solar wind...right. Last edited by topspeed; 6th January 2015, 18:53. If it looks good, it will fly good ! There is also a car design ( here for Europa mission ). Disappointed, looking forward to a Martin Mars! http://www.flightmemory.com/ I have been round the world 11.83 times! So you don't think it cool to fly to Mars...and in Mars ? The first man to get a Martin Mars on Mars gets a Mars Bar. I am a finn and our language is ancient European ( before you kelts came here from east ) anyway...we say mars matkaan ! It means...let's get going ! What did he newspaper headline writer compose when his mother dropped her chocolate confectionary bar on his photograph or Mars ? Good luck with the funding TS. I like the drawings. Thanks Propstrike..this could mean a new era in space flight. One fellow counted me the temperature in 80 km at M8. Can you believe it..Shuttle was + 1500 C here ( outside temperature +5000 C ). There was still a small glitch..now it should work. Anyone wanna fund this 20 000 kg empty weight STAR EAGLE ? Here is a stunt you could pull with 2 Star Eagle crafts...and one TINMAN lander capsule. Send one SE 8 months beforehand to Jupiter ( closer route to Saturn ) and then send Tinman and two service modules seme route ( via Mercury using solar sails ). 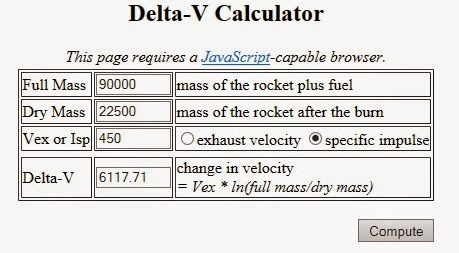 There was a still small glitch..the M5 + 5000 m/s is not quite 28 000 km/h..it need s abit more juice. Of course you have to believe the plane will go supersonic with a prop that high...as did Baumgartner without a prop ( went supersonic ). We counted the prop will be good for M8 speed structurally, but the temperatures rose so we hold it back to M5. Then ballistic to upstairs..slowly first and at then at the end levelling with tramendous acceleration. Viscosity, pressure and density are all really low that high enabling supersonic prop flight at 70 km with M4-5. In rocket mode as Star Eagle the craft has wing loading of 33 kg/m2 first and about 10 kg/m2 at the end of the burn..so about 80 times less than the X-15..this is the key aspect here...to go as slow as possible as long as possible to LEO ( to avoid too much heating ). Last edited by topspeed; 9th January 2015, 16:08. I am a bit skeptic about MARS flying nowadays. Mars does have just 38% of the gravity compared to Earth but the air is equivalent to 30 km on Earth in density. So practically anything that is capable to fly on earth at 20-30 km ( FL700-FL1000 ) most likely flies on Mars as long as it not an air breathing system. Q-100 observation aircraft for MARS is my favourite design ( with all it shortcomings and lack of lifting fuselage etc.). It is just cool....and fantastic. Last edited by topspeed; 29th October 2015, 19:51. I would definitely go to Mars if it was affordable and a return trip possible. But probably won't happen this generation.